Two-time Wimbledon champion Andy Murray is likely to be honoured with a statue at the historic Grand Slam venue, the All England Club's chief executive told the BBC. Two-time Wimbledon champion Andy Murray is likely to be honoured with a statue at the historic Grand Slam venue, the All England Club’s chief executive told the BBC. The 31-year-old Scot — who won the grass-court Grand Slam in 2013 and 2016 — announced last Friday retirement was on the cards due to a chronic hip injury. 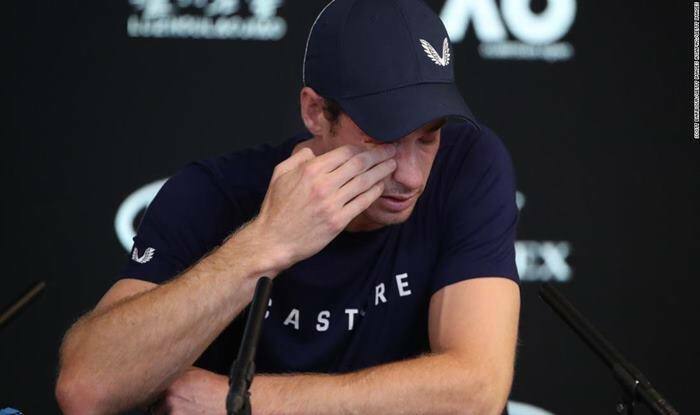 He then choked back tears and broke down as he revealed he hoped to end his career at Wimbledon but admitted the Australian Open which began Monday could be his last event because the constant pain was so bad. Richard Lewis, chief executive of the All England Club, said Murray could well be honoured in the same manner as fellow Briton and multiple Wimbledon men’s singles champion Fred Perry.